ENUGU - The leadership of the Enugu State chapter of the apex Igbo socio-cultural organization, Ohanaeze Ndigbo has raised alarm over plans by killer Fulani herdsmen to attack some communities in the State. In a press statement released on Wednesday, July 4, 2018, and signed by its state president, Chief Chiedozie Alex Ogbonnia, the umbrella Igbo group accused the leadership of Miyetti Allah Cattle Breeders Association in the State for spearheading the impending attack over unsubstantiated claims of theft of cows and death of some herders. 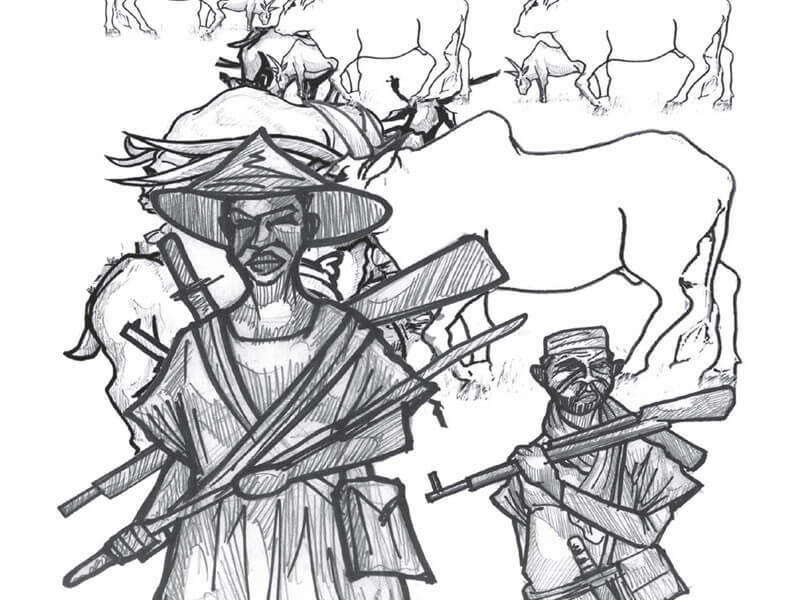 It stated that the areas tipped for attack by the herdsmen includes Amagunze, Okpanku and Affa communities, adding that it has already alerted security agencies and other similar bodies in the state to swing into action. The statement reads that: “In the past couple of days, we have been treated to a cocktail of killings by Fulani herdsmen in several places in the Middle Belt region of Nigeria particularly the latest carnage in Plateau State. While we condemn this wanton destruction of life and property of innocent Nigerians by bands of suspected Fulani herdsmen, we are more worried that the Federal Government and indeed the entire security architecture in the country have done very little to stop this menace. “It is indeed disturbing that many communities in Nigeria are now potential targets for these herdsmen. Because the Federal Government and the security network have been less than effective in containing this mayhem and these herdsmen appear emboldened to put so many communities at risk. 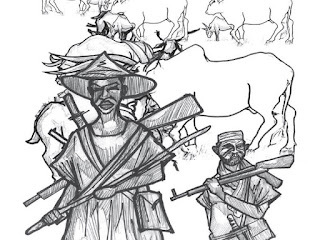 “Today, more than ever before, Fulani herdsmen have shown brazen disregard to people’s farmlands and crops as they move about with their herds of cattle. “Enugu State, once a theatre of this carnage, is at present, come under the murderous radar of these herdsmen again. As at today, no fewer than five communities are living in fear of herdsmen attack because of one allegation or the other by the leadership of Miyetti Allah in Enugu. “Their latest allegation is that some persons suspected to be Fulani herdsmen were killed or that some of their cows are missing. “At present, Amagunze community in Nkanu-East Local Government Area, Okpanku in Aninri Local Government Area and Affa community in Udi Local Government Area all in Enugu State are at grave risk and danger of herdsmen attack following allegations by the leadership of Miyetti Allah that some of their cows are missing in these communities and that some Fulani were killed. “Affa community, for instance, has been mandated by these herdsmen to pay a ransom of N2 million as compensation for the alleged missing cows out of which N600,000 has been paid. Ogbonnia stressed that though none of these allegations by Miyetti Allah leadership in Enugu had been substantiated, “it is remarkable that this was the same flimsy reason given for the gruesome attack in Nimbo community in 2016. “As was the case at that time, the government and security network were forewarned about the attack but nothing was done to avert it. It is on account of this that we are hereby putting both the Enugu State and Federal Governments and the entire security apparatus both in Enugu State and the country at large on high alert of the impending assault by these Fulani herdsmen on some communities in Enugu State. “Ohanaeze Ndigbo Enugu wishes to warn that it would not tolerate any more shedding of blood in Enugu State or any part of Igboland on account of Fulani herdsmen. “Our position on grazing ranches is very clear. In truth, since 2015 nothing has happened in Nigeria that seems to attenuate our position on the rejection of grazing ranches in Igboland and we cannot abdicate our land for any such purpose,” he stated.